Lively, friendly, super versatile at the table, this is a great value and a fun grape to get to know. Winery: ZVY-GELT is the brainchild of Monika Caha & Toni Silver of Monika Caha Selections, along with winemaker Meinhard Forstreiter of Weingut Forstreiter. The Forstreiter family has been making wine since 1868; their vineyards are located along the right bank of the Danube River, across from the Wachau. 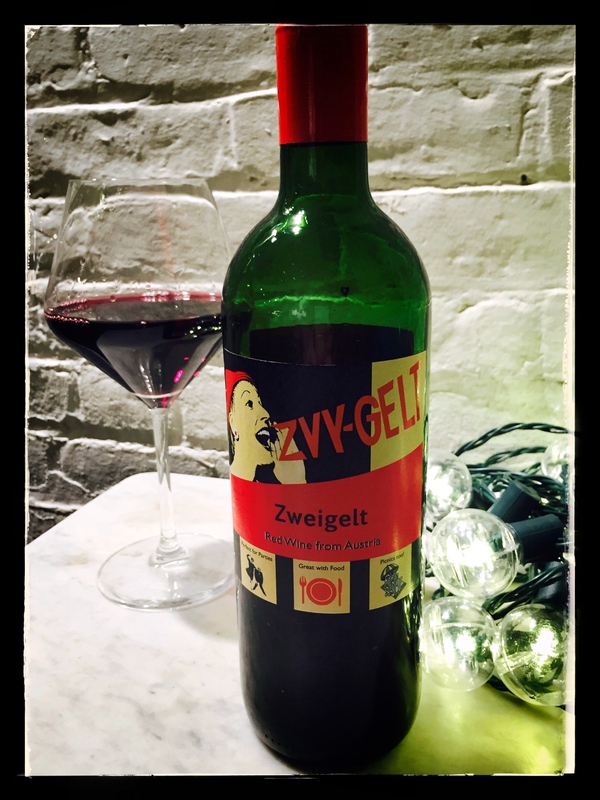 Along with a fun, contemporary label, the phonetic spelling of Zweigelt gives everyone a helping hand when it comes to pronouncing this easy drinking Austrian varietal. Winemaking: Grapes were sourced from sustainably farmed vineyards 10-50 years old, and then aged in stainless steel [50%] and in old oak [50%]. Tasting Notes: Red-violet in colour with welcoming aromas of spicy black pepper, toasted oak, sweet vanilla and cherry. Blackberry and raspberry flavours were underscored by tart cherry and a food friendly acidity. Black pepper, black cherry along with sweet and spicy oak elements comprised the lengthy finish.